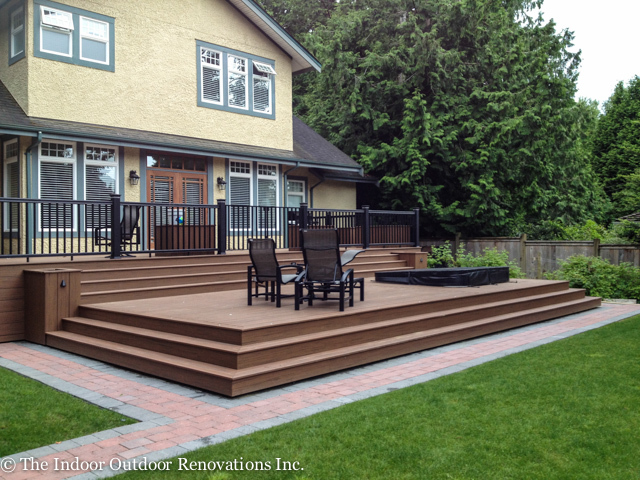 This large scale backyard landscaping project included a backyard design with a deck, patios and gardening areas. 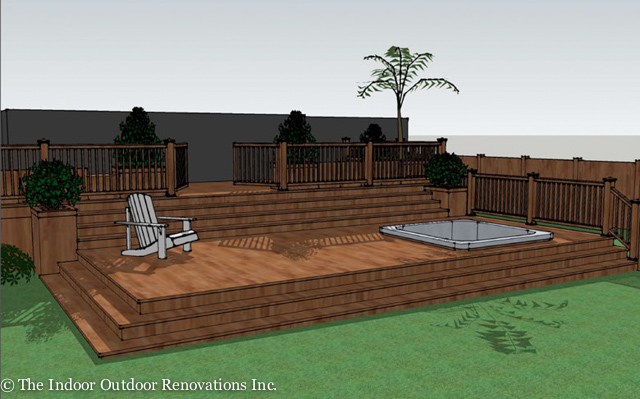 The two level deck features a hot tub and reclining area on the lower level, while the upper level is for entertaining guests and outdoor dining. 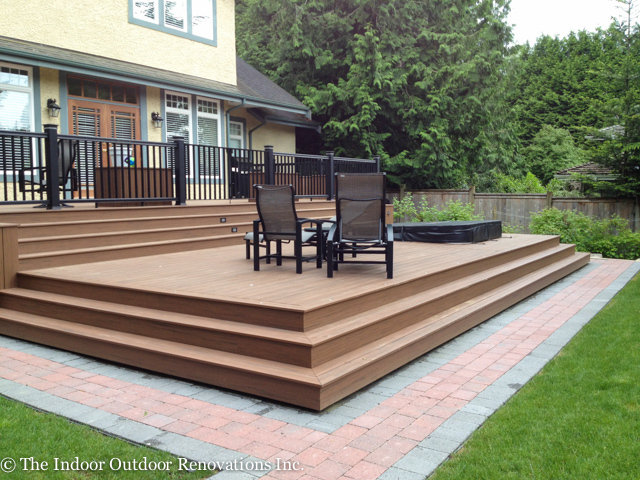 The deck features long lasting timbertech plastic composite decking and railing. 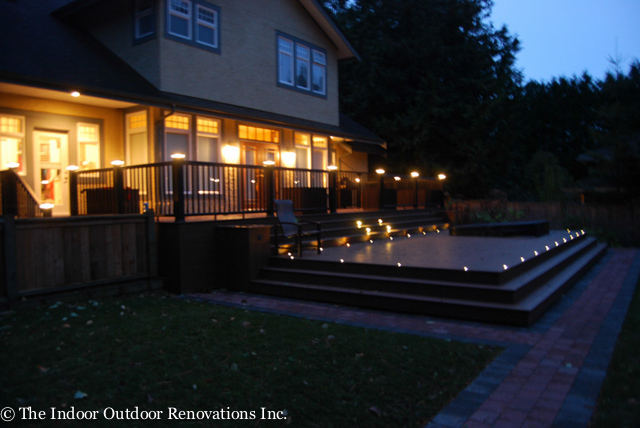 The deck also has a built in lighting system for evening and night time use.